If we told you that Southwest was currently offering the greatest credit card deal of all time, it might sound like an exaggeration but when you learn about the offer you will see what all the fuss is about. For a limited time only, Southwest is offering a Companion Pass to California residents only who qualify for a Southwest credit card and make a purchase. If you want to take advantage of the “Fly One. Get One Free. For A Year” deal, you will need to apply before Nov 30, 2017. To sign up, you can apply via this link. But before you do, you probably want to know if there is a catch? Here is what you need to know. 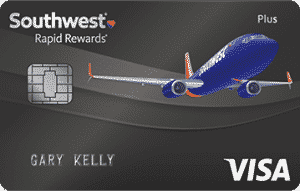 What Are The Southwest Credit Card Benefits? A $69 fee will be added to your first billing statement and the offer is only available to California residents. After you spend $1,000 in the first three months of opening your account, you will earn 40,000 points. Thereafter, you can earn unlimited points and you won’t be surprised by any blackout dates when you try to redeem points as you might on some other airlines. Plus a year after you sign up, you will receive a Cardmember anniversary gift of 3,000 points. Another nice feature is that your points never expire, so you don’t have to worry about redeeming them within a fixed time frame. Each time you spend $1, you earn 2 points on Southwest purchases as well as Rapid Rewards® Hotel and Car Rental Partner Purchases. For all other purchases, you earn 1 point for each $1 spent. Companion Pass is the most coveted loyalty status available to Southwest travelers and you don’t have to be a California resident eligible for this limited-time only deal to earn it. As a California resident, you can see why the deal is such a winner. By simply applying for the card and making a single purchase, you get to fly with your companion at a 50% discount for a full year without having to jump through the hoops others do. The Companion Pass offer is available for the rest of the calendar year in which you receive it as well as the next calendar year. If you sign up for the California-only limited time offer by Nov 30 then you will be eligible to use the Companion Pass until Dec 31, 2018. You will need to provide evidence of a California residency address to qualify for the offer, and you can only designate one companion so you are restricted from bringing a different person each time you fly. Don’t forget to make a purchase once you receive your card because that is a necessary step to qualify for Companion Pass loyalty status. Sadly for current and previous cardholders, the offer is restricted to new cardholders only. 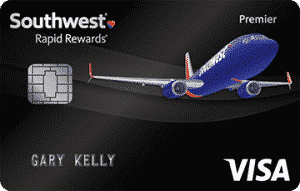 If you are not a California resident but still wish to take advantage of other Southwest Airlines credit cards, you can look to the Plus Card and the Premier Card, both of which have enticing benefits. 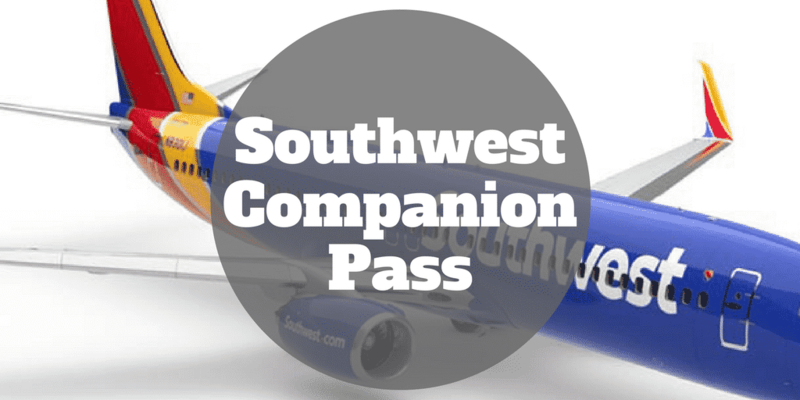 Provided you meet the eligibility requirements and have good credit, the Southwest Companion Pass deal is about as good as it gets for any frequent Southwest flier living in California. You will need to designate a single companion who can join you on all flights for the calendar year in which you receive your Companion Pass loyalty status as well as the following calendar year. This limited time, California-only Companion Pass deal can be snagged up until Nov 30, 2017 and can be enjoyed until Dec 31, 2018. If you and your partner live in California but regularly take trips say to the mid-west or East Coast to visit family, you effectively get to enjoy 50% off regular Southwest Airlines airfares. Plus, you can take advantage of Southwest Airlines new route to Hawaii and save half of what you would ordinarily spend by signing up before the deadline. The bottom line is the savings could amount to thousands of dollars, even for travelers who jet off a couple of times per year, and possibly much more for frequent fliers.